Ideal for use by electronic manufacturers working with ESD sensitive components. 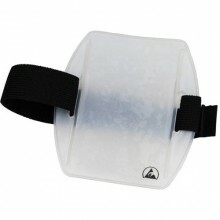 Features an adjustable black elastic band which flexes with arm movement for secure fit. Click the button below to add the Menda 35193 ESD-Safe Badge Holder with Arm band to your wish list.